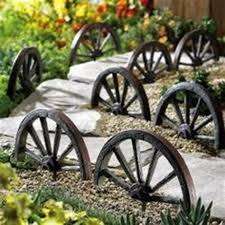 There are a million ways to reuse the old wagon wheel for making crafts for the garden place and here we will mention some of the best. 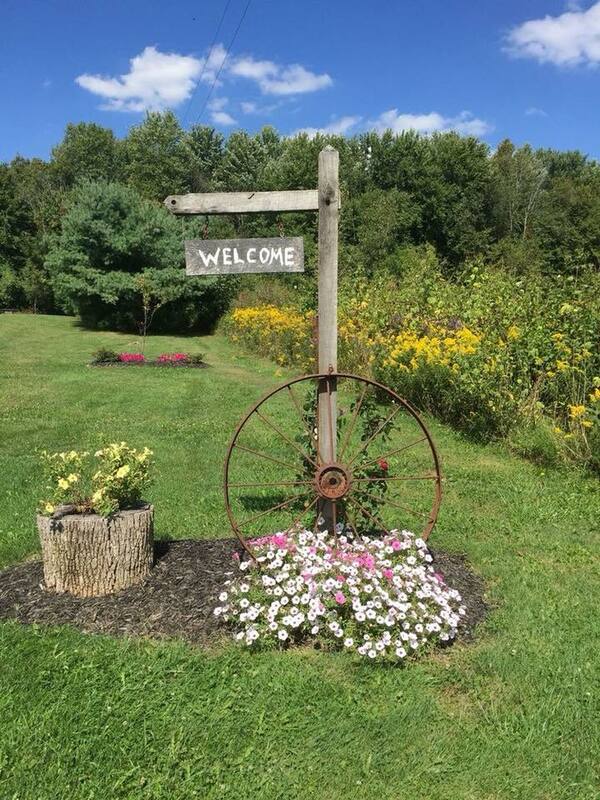 We will show you how to make a holder for flower pots, how to make a cart by using wheels and wood and how to make art in the garden place by using the same material – wheel reuse! Read more about interesting wheel reuse for a garden place in the text that follows! Share ideas with friends after reading it! 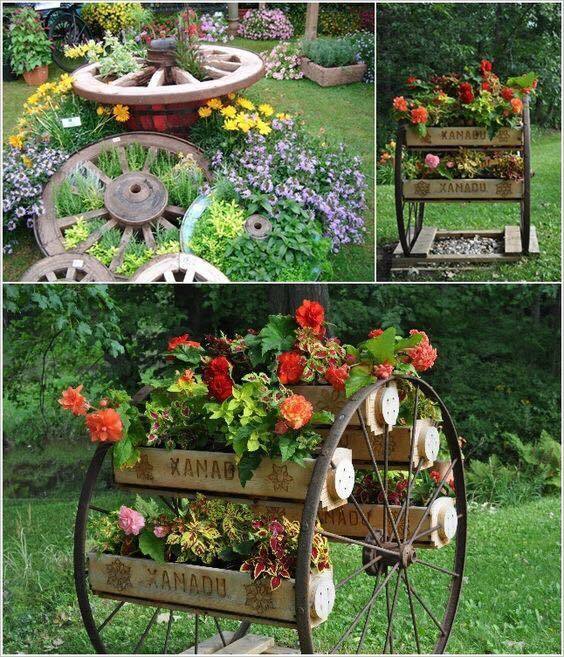 How great it would be to have a cart made of wheels and wood that you will use to transport the flower pots from one place to another place or simply to use it for decor in the yard place. 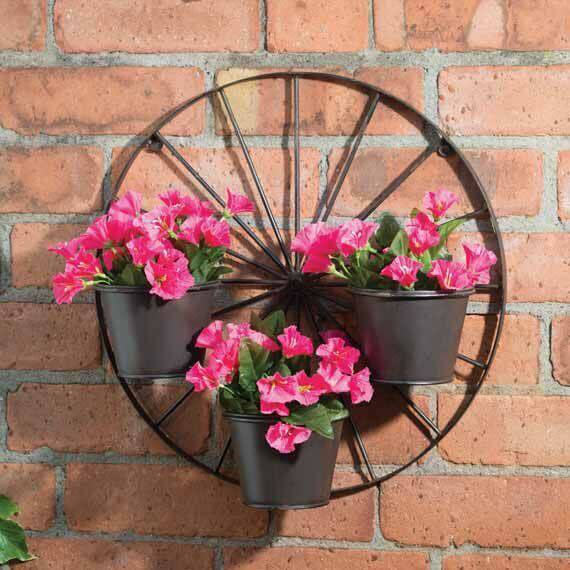 You can add three flower pots on the wagon wheel hanged on the bricks wall that is part of the outdoor place and to make this place looking so good!!! Make the best yard look with the use of this material and wish welcome to the guests that are coming into your house and also wish WELCOME to you when you are coming back from work each day. 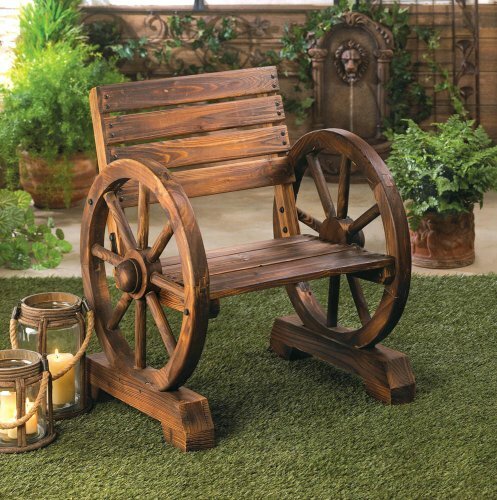 Wooden wheel can serve you to make a bench in the yard place, to sit here, to drink your favorite coffee and to read the favorite book. It’s nice to have garden fencing but also it’s nice to try to make something by yourself and to avid giving money for nothing. 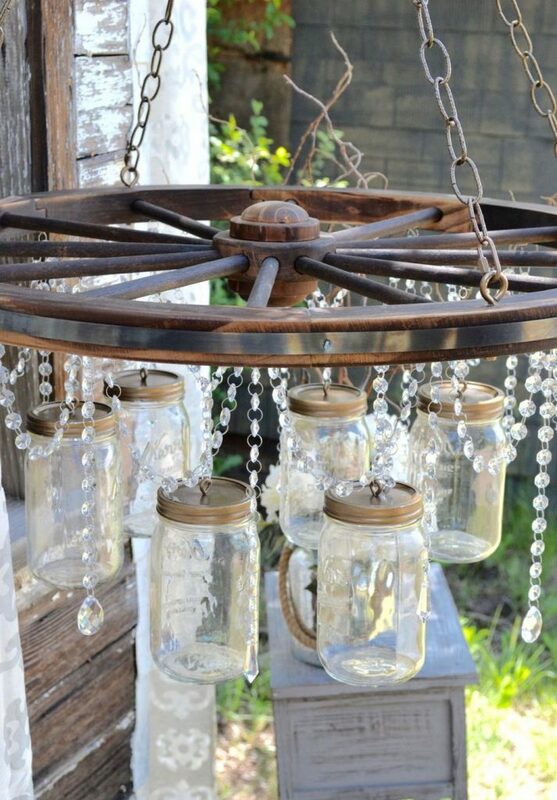 By using wheel and mason jars, we can make the best lighting for outdoor place and to bring the light in this place in the best and economic way. 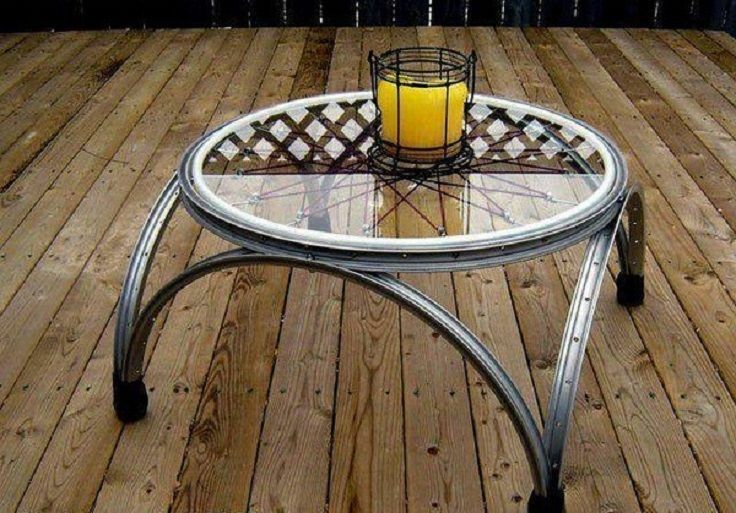 Imagine how great it would be to have this table as a part of an exterior design. This is the thing you need to fill your free time!!! Share with your creative friends! We will finish this post with the best idea of this post. On this Instagram photo we can clearly see how to give new life to the old wheel and to hang it on the outdoor wall and to be proud of our craft!!! With this, we’ve finished our post today which was so creative and interesting I’m sure! 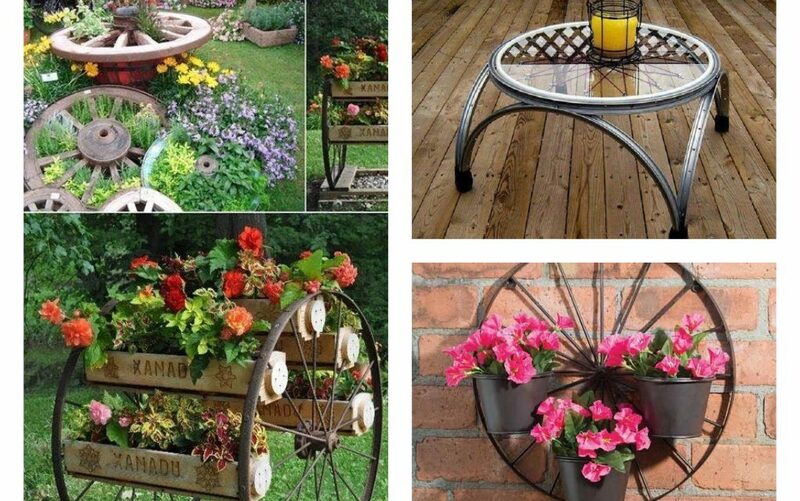 Now, you have a task to try to make some of these crafts in your free time and to give the old wheels a NEW life!! !